We saw this outside the Sitka National Historic Park center in Sitka, Alaska. 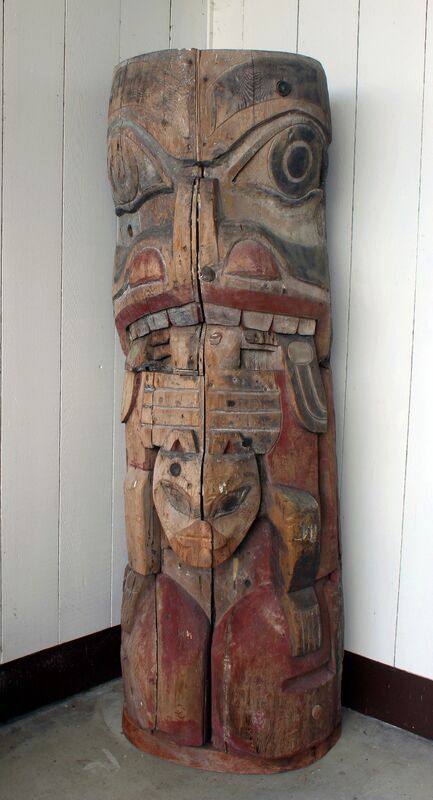 That doesn’t look like a typical Tlingit totem pole we thought, so we asked. In fact it was done by local carvers, but was inspired during a visit of a group of them to NZ. Totems tell stories of events or a series of events.